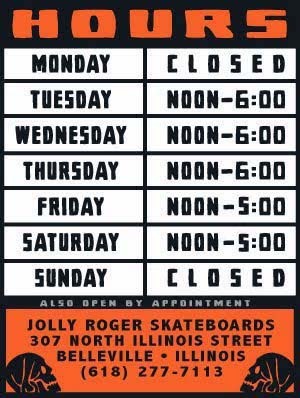 Jolly Roger Skateboards: They're back! Jolly Roger and Guano Wheels stocking caps are back in stock. Our first batch went faster than I thought. So, to all of you that asked for one only to walk away empty handed, get off your computer, come down and grab one. They are still only $8 bucks so they might not last long.